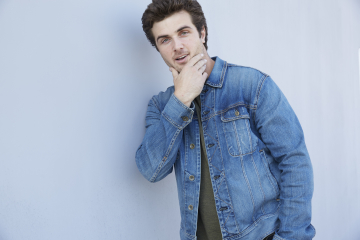 We have a new crush in town and its obviously on Beau Mirchoff! 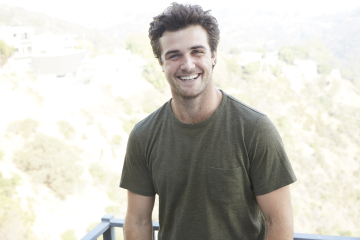 Mirchoff is best known for his role as Matty McKibben on the hit and critically-acclaimed series Awkward. Mirchoff can currently be seen in the Crackle original movie Party Boat alongside Brett Davern, Katie Leclerc, and Jay Mohr just to name a few. The story follows Max (Davern) as he throws a wild 25th birthday party for his best friend Kiley. Mirchoff will showcase his comedic chops as Jonathan, the party’s hilarious bartender who embarks on a mission to win the heart of Kiley’s divorced sister. The film is streaming now. We got to chat with Beau and found out about his love for traveling as well. He has taken exciting trips to Japan, Europe, and destinations around the globe. In his next quest for adventure, he will be leaving Los Angeles behind and taking a roadtrip across the United States in a van with very few of his possessions. We obviously had to sit down and ask Beau some of our favorite questions. Check out our one-on-one! The sun. Also, my dog jumping on me. I really need some sleep. Is being genuine a virtue? If so, I’ll go with that. I have a magic trick involving cards that I think is awesome. Though when I show it to people at parties, they call me a nerd. Chad Michael Murray in a Cinderella Story. Wake up on the beach, get in the water, eat some great food that my personal chef, Mario Batali, cooked up for me, go on a hike, then upon my return the Stones are throwing a secret show on my beach (yes, the mayor gave me the beach now), then I fall in love with Emily Blunt and we write a movie together that gets green-lit, staring us. James Joyce, Genghis Khan, Martin Luther King Jr. Passion, honesty, intelligence, humor. Did I mention I want to marry Emily Blunt? 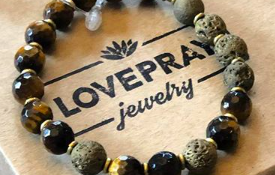 I am launching a charitable website! Stay tuned for more information. Yes, I am aware that I used this question to plug something I am doing; however, it’s for charity, so pipe down. “His throat ached with a desire to cry aloud, the cry of a hawk or eagle on high, to cry piercingly of his deliverance to the winds. This was the call of life to his soul not the dull gross voice of the world of duties and despair, not the inhuman voice that had called him to the pale service of the altar. An instant of wild flight had delivered him and the cry of triumph which his lips withheld cleft his brain.” – A Portrait of the Artist as a Young Man. This book and this quote is partly responsible for me living in a van at the moment. I invited a friend of mine out. Once I got to the bar and after about 20 minutes of hanging (and still no sign of my other friend) I commented on how crazy it was we ran into each other. Her face displayed a look of confusion, and she said, “why is it crazy? You invited me here.” Turns out I have TWO friends with the same name. Through a play I produced and acted in, I was able to raise money for a group home in Philadelphia. Check out my social media for updates on my new charitable project. Also, a couple things in the acting realm coming down the pike of which I can’t discus yet!